Central Bank Deputy Governor Sepala Rathnayake giving evidence before the Presidential Commission (PC) probing the alleged CB Bond scam said yesterday, that former CB Governor Arjuna Mahendran had ordered him to reject a tender worth Rs 2.608 billion, approved by the CB Tender Board, in favour of a tender valued at Rs 10.058 billion. Rathnayake said that the members of the CB Tender Board had been greatly perturbed by Mahendran's move, and the Chairman of the CB Tender Board, Samarasiri, had left the room before coming back to talk to the then CB Governor on a cell phone. Following the phone call Samarasiri had informed the CB Tender Board members that Mahendran had advised them to opt for the tender bid for Rs 10.058 billion, Rathnayake told the PC. He added that he had then intervened to object saying that if the aforementioned tender bid were to be approved they will all be forced to jump out of the CB building without their clothes. He had said this in Sinhala. Sepala Rathnayake told the PC that this incident took place on 27 February 2015. 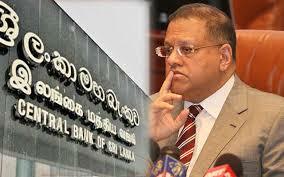 The evidence was led by Deputy Solicitor General Priyantha Nawana.